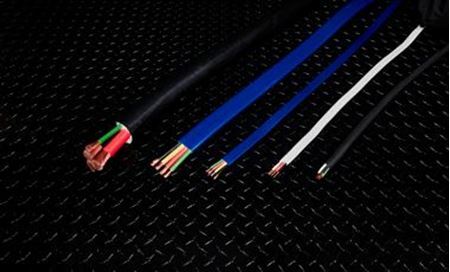 Milspec Industries, with over 52 years of experience, is in the process of strengthening its strategic go-to-market capability in response to the dramatic evolution of the wire and cable industry toward value added electrical solutions. The strategic focus is to provide superior products, services and solutions for retail profit partners. 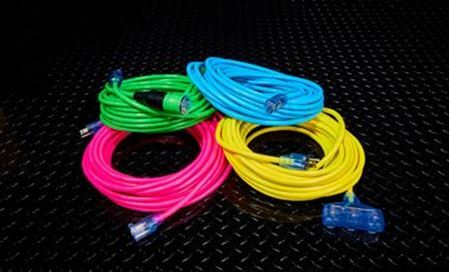 Each of our Pro Lock Extension Cords are molded with our patented Pro Lock connector. 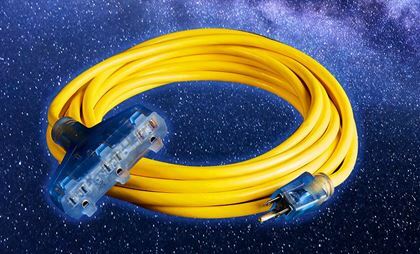 When a cord with a standard u-ground 15A-125V, plug is inserted into our Pro Lock connector, it locks and won't pull apart. 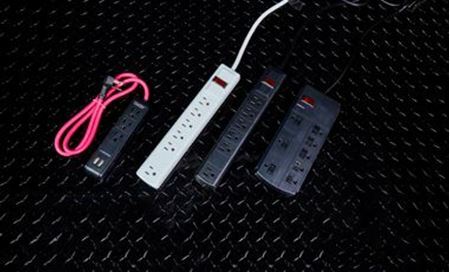 This prevents accidental disconnects that result in an inconvenient loss of power. 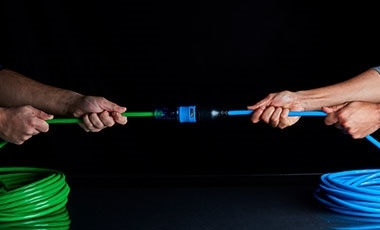 To release, simply pull down on the connector collar to disconnect the cords. 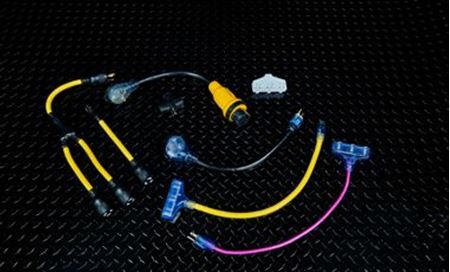 We have added our patented "CGM" Continuous Ground Monitoring system to our Pro Lock connector that indicates there's ground continuity in the cord for added safety. 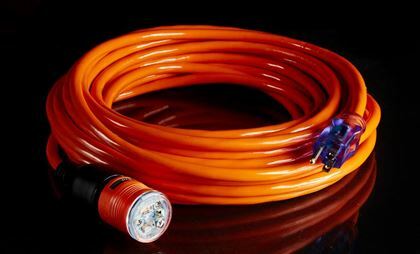 This heavy duty coldweather PVC cord is equipped with our patented "CGM" Continuous Ground Monitoring connector. This latest safety feature identifies that there is ground continuity in a circuit when the green light turns on. 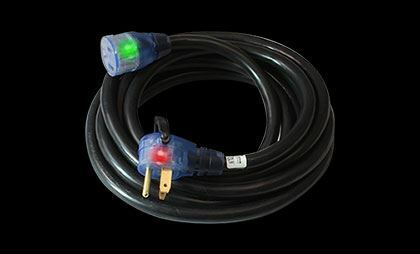 In addition, the lighted amber male plug indicates there is power flowing through the cord. 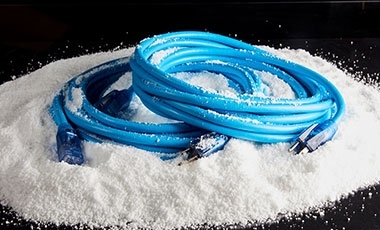 Our Sub Zero rubber elastomer cord features our patented "CGM" Continuous Ground Monitoring connector. 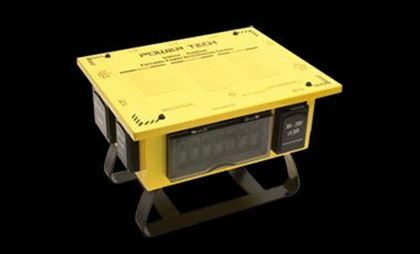 This latest safety feature identifies that there is ground continuity in a circuit when the green light turns on. 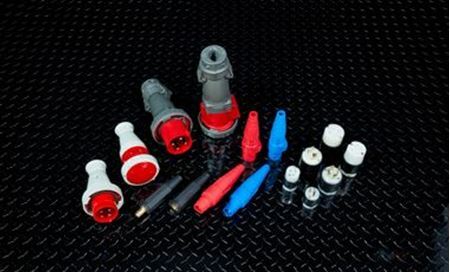 In addition, the lighted amber male plug indicates there is power flowing through the cord. Our special -58°F “Sub Zero®” coldweather jacket insures working flexibility in temperatures well below freezing. 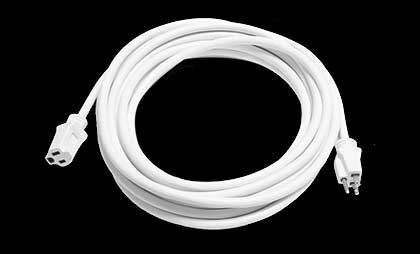 This contractor grade, ETL Listed heavy duty extension cord is our most cost effective extension cord that will provide years of dependable service. 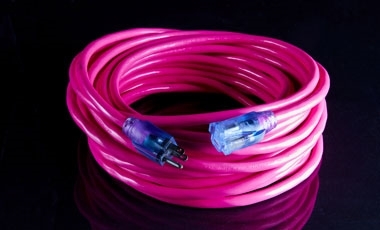 These cords are available with solid or lighted ends. 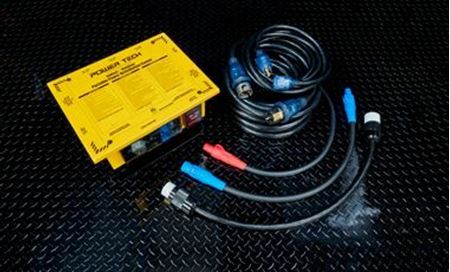 Milspec's Power Tech brand features our heavy duty line of Temporary Power Boxes, Sled Cords and GFCI Extension Cords. 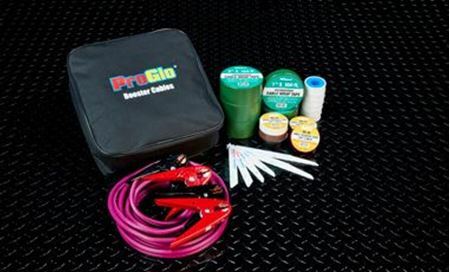 Our Pro Grip Line of heavy duty Welding and RV Extension Cords feature our patented Pro Grip™ handles on the plug and connector ends for safe and easy disconnects from any outlet. These handles conveniently slide out of the way when not in use. Don't Get Shocked, Get Grounded! 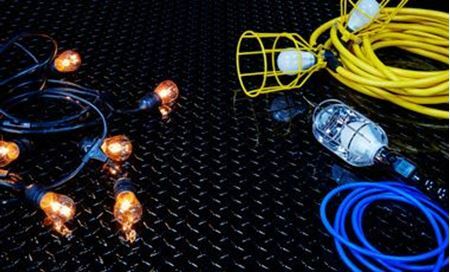 “The best products on the market backed by exceptional customer service is why we've been continuing to use Milspec Industries as our wire and cable source.” Richard Z. 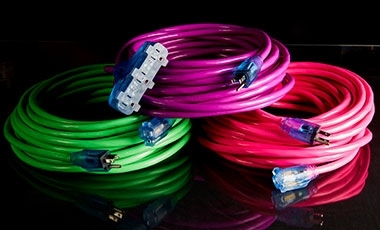 “I like the fact that I can tell my cords from across a field. 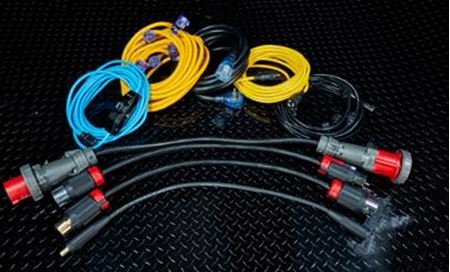 I haven't had a single cord walk away since I switched to Milspec.” Dan T.
“Our company has exclusively utilized Milspec for our power cord needs, and as a large electrical contractor company we order in high volume. Milspec has consistently provided excellent product and service.” Heath R.
“For over ten years, I have been doing business with Milspec. They always provide me with quality products at a reasonable price. Their customer service is second to none. I would highly recommend Milspec to anyone!” Justin G.
“It's always a pleasure talking with our rep. Ten years of working with Milspec and we've never had a problem with products. The service is great. Thank you for your good service and great products!” Russell D.
“Print is nice, colors are great, but the best part is that they last 3x longer than what we were using.” Johnny C.
“Dealing with Milspec over the past few years has provided great value to our company. The quality products they provide with the exceptional customer service they deliver is what we look for in a supplier.” Michael T.
“Just wanted to say Milspec has been very responsive to my last minute needs lately. Thanks for the great service! You guys are the best!” Gene P.
“I started working with Milspec Industries about 18 months ago and as with any business relationship there have been some hiccups, but the team has always come through with a solution by going the extra mile.” Tom B. “I have worked with Milspec Industries for a number of years. Our rep's responsivenesshas been very helpful. 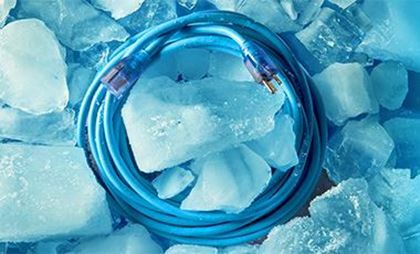 I see Milspec as a partner now in our efforts to bring quality craftsmanship and innovative equipment to a very competitive market.” Jake T.
“The wire and service I receive from Milspec is outstanding, and is top quality. 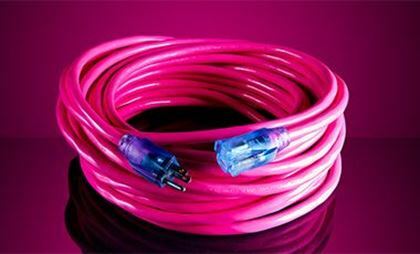 I highly recommend their products to everyone!” Dan S.
“The wire we get from Milspec is good quality with good pricing with fast and friendly service from our Account Manager.” Mary C.